Real Riders: 2016 BMW F800GS Review, A Lighter Alternatives! 2016 BMW F800GS Review, A Lighter Alternatives! 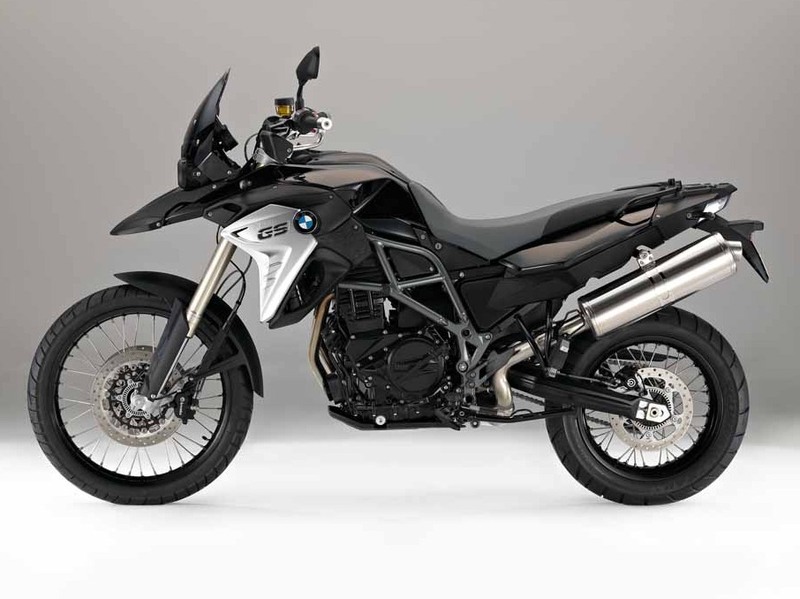 BMW’s updated its popular F700GS & F800GS middleweights for 2016. The main differences include a new two-tone seat – now offered in four heights with addition of a low suspension ride height option, a newly designed tank cover. Certainly not the most drastic of change, but with the excitement surrounding new bikes, it’s a good excuse to road test BMW’s brilliant entry-level adventures. Even in its lowest position, the 2016 BMW F800GS seat sat a lofty 820mm off the ground, meaning my 5ft 9in frame could only just touch both feet flat on the floor. The redesigned one-piece saddle is relatively narrow, which helps, and there’s a clear view of the bike’s uninspiring but informative dash. I’ve never quite understood why the fuel range is only illustrated from the last 50% and downwards, but needless to say that still remains the case on the latest incarnation. The F-series machines don’t offer cruise control, power modes, or the abundance of other hi-tech features that have been so well pioneered by the German brand in recent years. 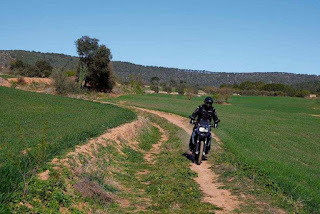 Still, my bike did have Electronic Suspension Adjustment (ESA) – albeit only designed to alter the rebound of the rear shock across Comfort, Normal and Enduro settings – and Automatic Stability Control (ASC), which could be switched on or off, along with the bike’s ABS system. Heading for the surrounding hills, the tall but agile middleweight soon felt extremely easy to ride, never requiring much effort to get it changing direction. The 2016 BMW F800GS has a skinny 21in front wheel, but it didn’t detract from the ride in any way, despite being equipped with the dual-purpose Pirelli Scorpion Trail rubber. On the roads, grip never felt compromised and the feedback from the front-end was plentiful. 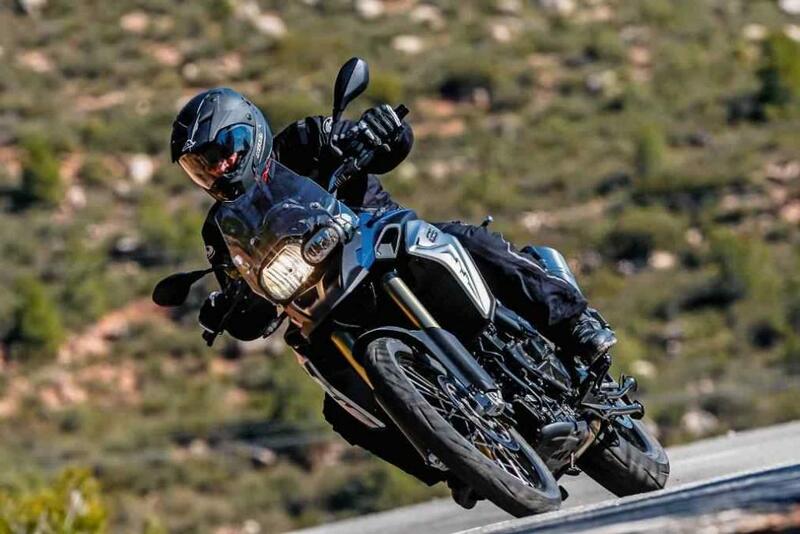 To look at, you wouldn’t suspect the little GS is half as capable as it proved to be in corners, offering great stability and ground clearance. Sharp brakes meant stopping in time to enter the road’s scattering of hairpins was never a challenge, and the gearbox was slick. The 2016 BMW F800GS is very capable off-road. Switching the ESA from Comfort to Sport mode didn’t offer the most notable of differences, but changing to Enduro made more of an impact. The rear shock definitely felt softer, and seemed capable of upsetting the bike if you pushed too hard on the road. Of course, it’s calibrated for the dirt and things made much more sense as we began meandering our way up gravelly mountain trails. Our bikes weren’t equipped with full-on enduro tyres, but you could get away with pushing the 2016 BMW F800GS hard and not be made to feel vulnerable. Perhaps the sketchiest time came during a river crossing when the rear wheel, with ASC switched off, lit-up underneath the bike and caused it to go a bit wayward. From rocks to deep sand, the 2016 BMW F800GS dealt with every obstacle, being enjoyed best from a standing position, especially when tackling rough descents. The ABS hadn’t proven a hazard on the road but, for the same reasons as the over-eager ASC’s interaction, I preferred to switch the system off altogether when off-road. You’d get the odd lock up of the front wheel, but it was a more welcome alternative to the ABS’s tendency to hinder your stopping distances and cause a few heart-in-mouth moments along the way. It was all part of the fun.